Department of MBA is an integral part of Amrutvahini College of Engineering, established in academic year 2010 to impart value based education in the field of management science with the aim of creating global leaders and entrepreneurs for the nation. 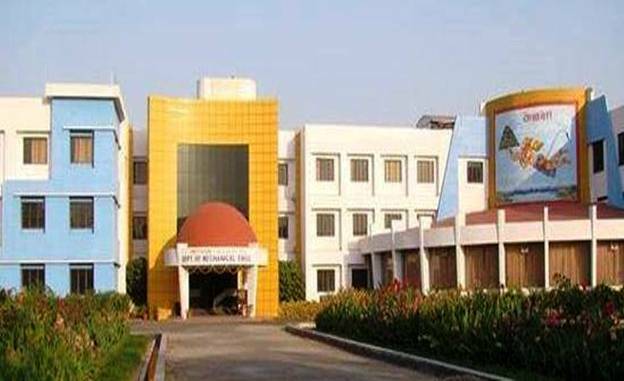 This is a two-year (Four Semester) full time SPPU, Pune affiliated programme with all prescribed specialization of SPPU. At AVCOE, MBA student’s gains knowledge of business practices & processes, understand the role of economics in the world marketplace, and acquire an awareness of global business issues. MBA program offers practical management training that prepare students to successfully work within organizations & to become entrepreneurs. Centralized placement drive is available. Every year approximately 80-90% students are placed in different companies and organization. 3. Human Resources Management (HR). 4. Operations & Supply Chain Management (OSCM). 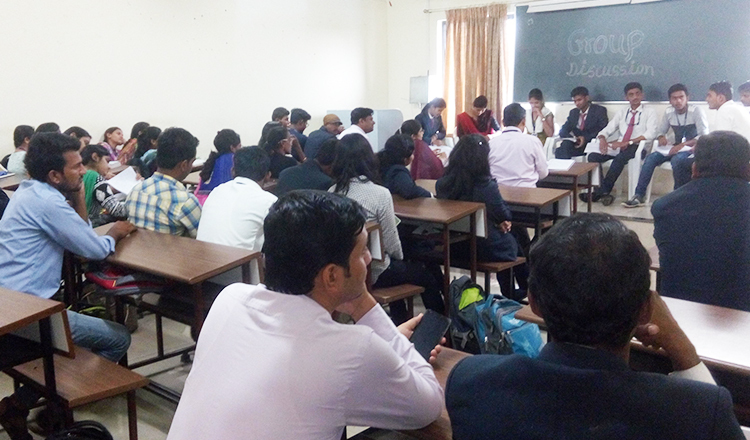 Department of MBA has win-win alliances with industry which help bridge the gap between theory and practices. Seamless interface through a convergence of in-house and out-bound learning programs warrants creation of industry-ready management graduates, in turn, providing learners with a solid foundation for corporate careers. 1. 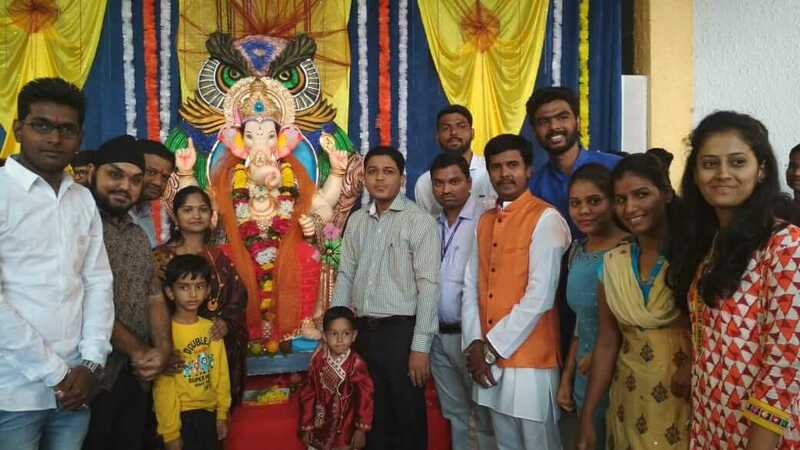 Mr .Venkatachalam, Chairman –Bizsol India Pvt Ltd. Nasik. 2. Mr. Sudhir Shirsath, General Manager-HR Sula Vineyards Pvt Ltd, Nasik. 3. Mr. Ajit R. Tawde, Director, Chocolate and Confectionery Consultants International, Pune. 4. Mrs. Dipali Chandak, Director WisdomXtra Consultancy Ltd., Nasik. 5. Dr. Sukumaran, DEAN, National Institute of Securities Markets (NISM), Mumbai. 6. 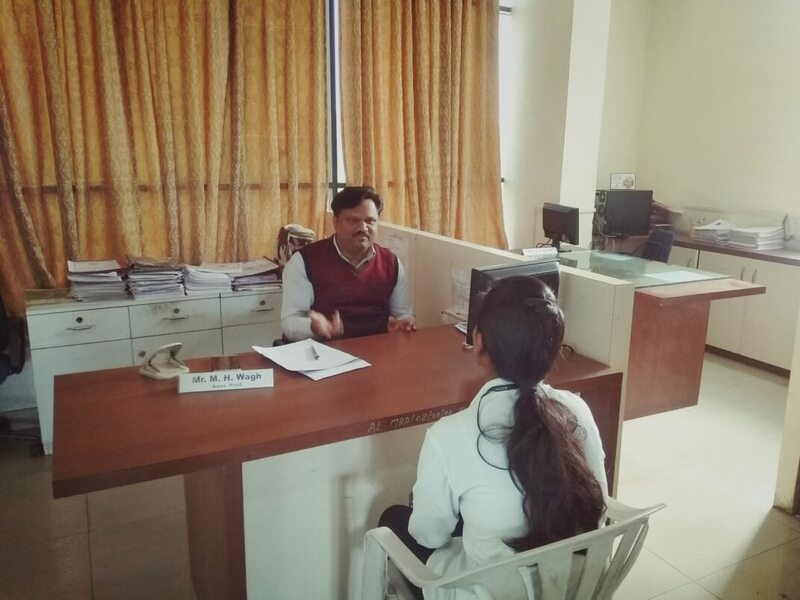 Mr. Shridhar Vyawahare, Vaibhav Placements, Nasik. 7. Mr. Deepak Maniyar, Managing Director, Dipak Industries, Sangamner. Departments Significant Achievement: We support industries as well as the academia by providing valuable consultancy services. Since, educational institutes are the sources for good candidates, we help them by providing guidance to the small businesses as well as the students who have immense potential and are the future of the industry. Also, leveraging on the vast experience, we serve as advisors to a lot of our clients in the field of Marketing. In A.Y. 2016-17 provided paid consultancy services to Vibha Generic Medicines, Sangamner and in A.Y. 2017-18 provided paid consultancy services to S. L. Hase & Company, Sangamner. 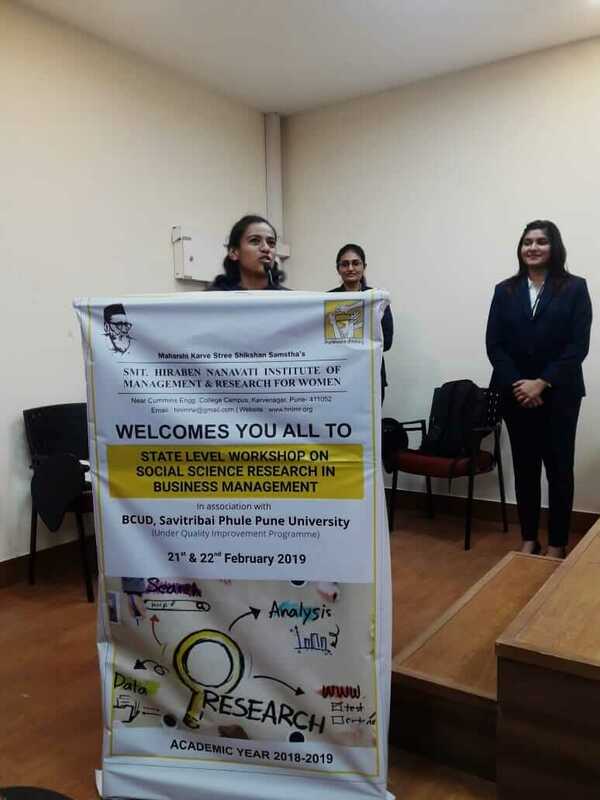 To encourage and develop qualities of rural students to become able managers & entrepreneurs; through management education for career in the field of management. To develop the new breed of managers & entrepreneurs through embracing innovative theories, techniques & technologies to ensure success in changing global world. Learning is our passion & creating dynamic opportunities for career preparation & personal effectiveness is our purpose. Qualification : M.Com, MBA, PhD. Area of Specialization : HR. Management. Name: Mr. Bidve R. N.
6. Mr. V. V. Satav Successfully completed NPTEL Online Certification Course 'Business English Communication' in April 2018. 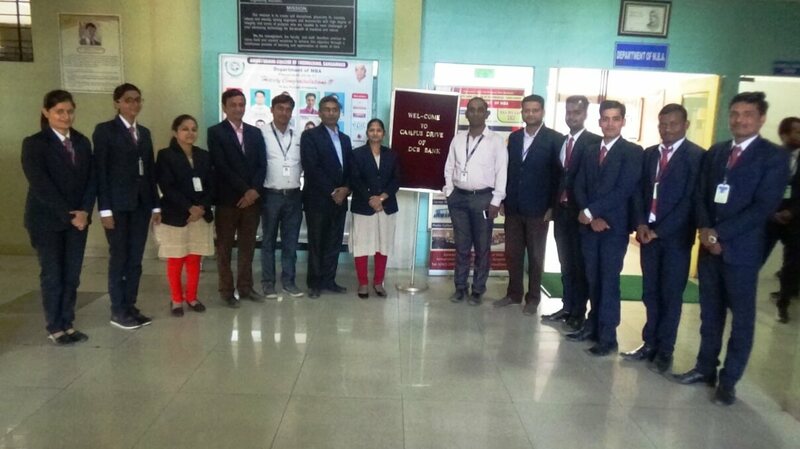 Dr.N.R.Telrandhe, attended Two days National Level Seminar on “Enhancing Productivity through Spiritual Human Resource Practices” Amrutvahini Institute of Management & Business Administration, Sangamner. 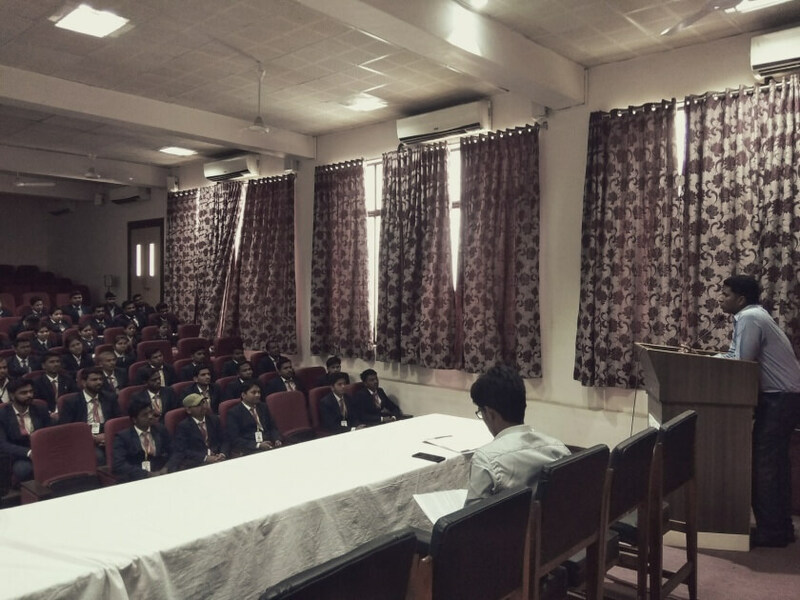 Ms.V.V.Sable, attended One Day State Level Conference On “Rural Women: Awareness of Heath & Security” Art, Commerce & Science College, Bodwad. Ms. N. P. Shah and Dr. S.B. 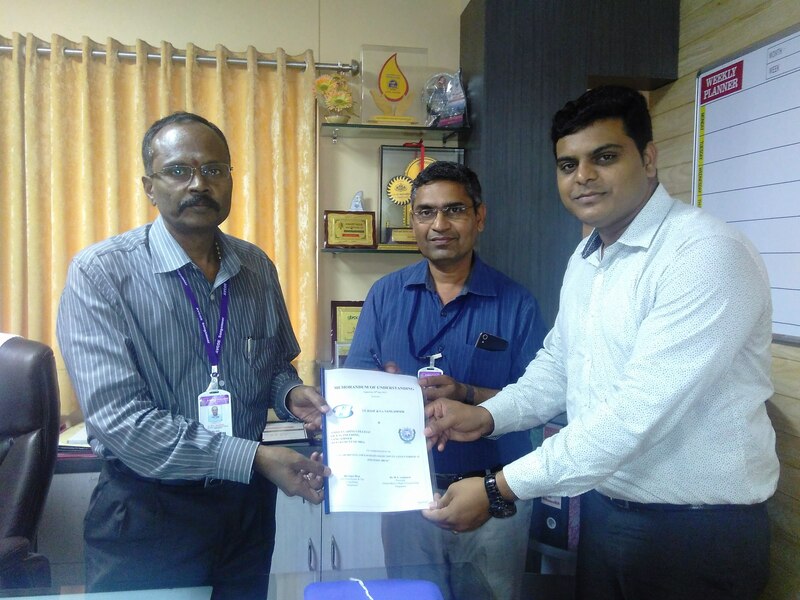 Sethi, Dr. M. H. Wagh and Mr. V. V. Satav and Mr. S. D. Kharde, Paper published at 30 th National Conference of Maharashtra Commerce Association Art, Commerce & Science College, Bodwad. 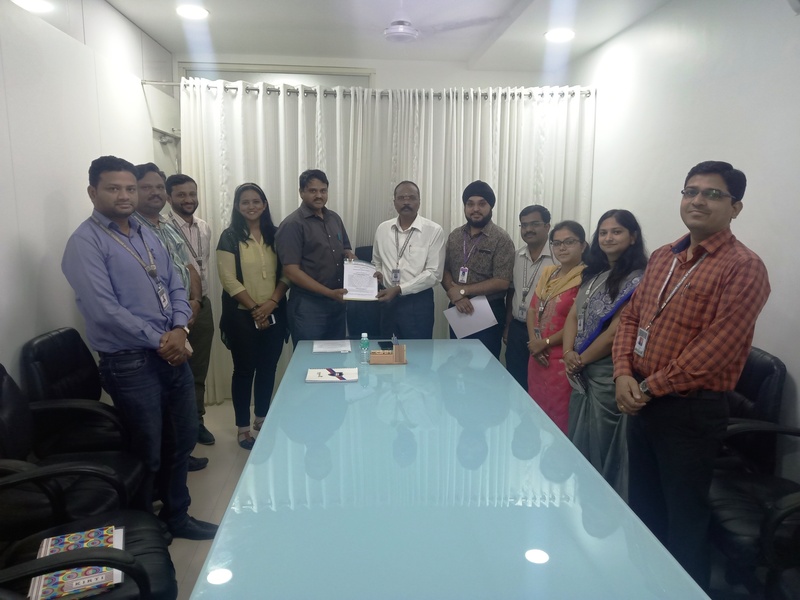 Mr. M. H. Wagh, Paper Presented & Published in State Level Seminar on “Job analysis for socio economic work life implementation model in insurance sector”. 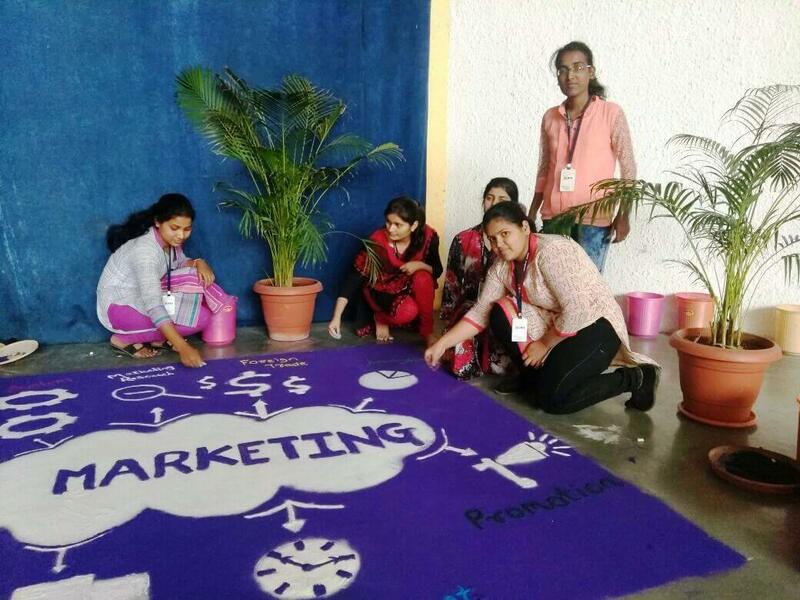 Jan 2018 Ashoka Business School, Nashik. Ms. N. P. Shah, Paper Presented & Published in National Conference on “Role of Micro Finance Institution (MFI) on Providing Financial Assistance to Small Scale Industries”, Edition 1, Excel Publication. Edition 1, Excel India Publishers, ISBN978-93-86256-44-7, Feb 2017 . 1. Mr.Mahesh Pawase Secured 50 out of 50 marks in SPPU exam in Decision Science subject. 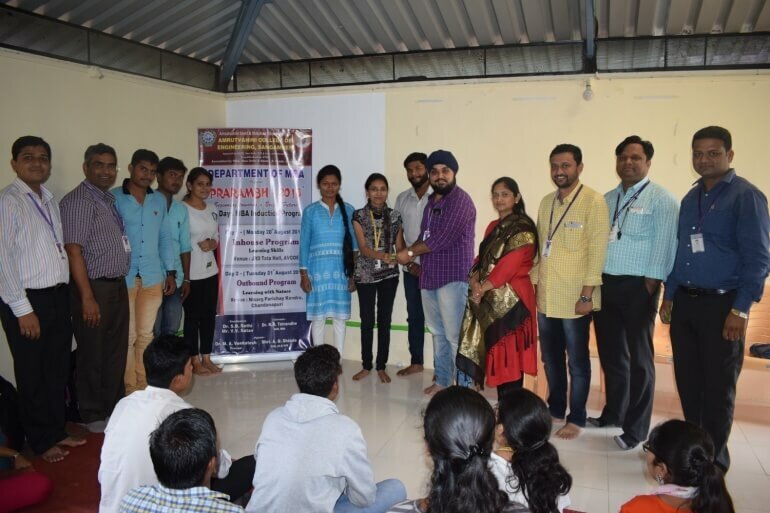 Research paper presented in State Level Research Paper Presentation Competition-2019 at SBES College of Arts & Commerce, Aurangabad. Special Recognition for Paper Presented in National level Seminar on “Social Media Tool for Transformation” On 19 th & 20th January 2018 at J. D. C. Bytco Institute of Management Studies & Research, Nashik. 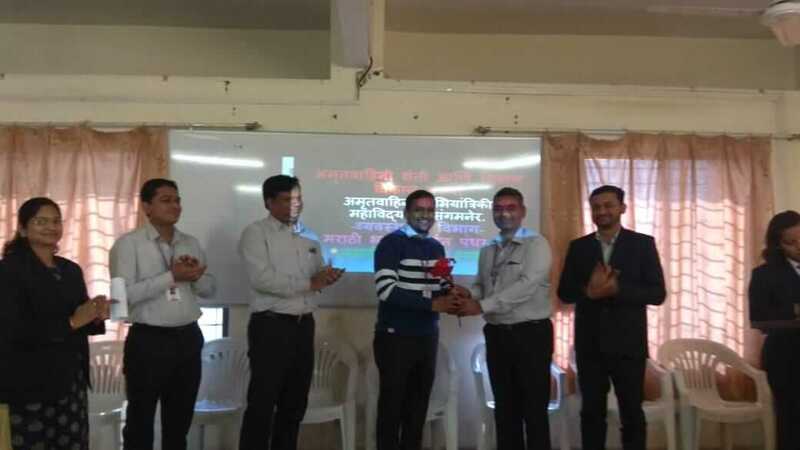 Special Recognition for Paper Presented in National Seminar on “Emerging Innovations and Strategic Business Practices” on 2nd and 3rd Feb,2018at Sanjivani College of Engineering, Kopargaon. 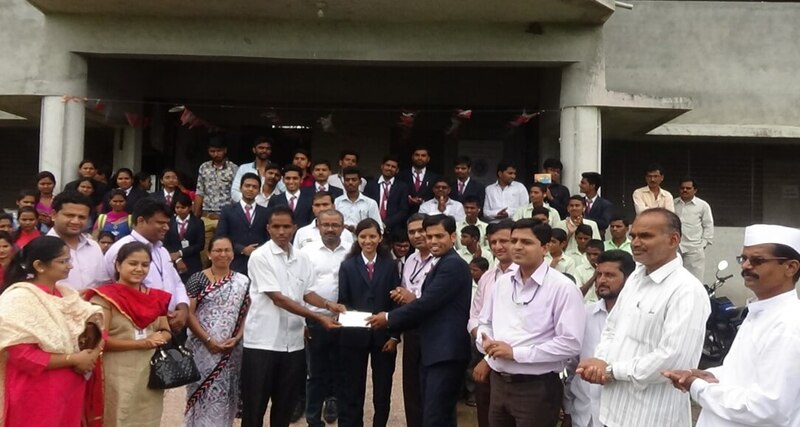 Participated in Avishkar 2015 Competition at Kopargaon. 1. 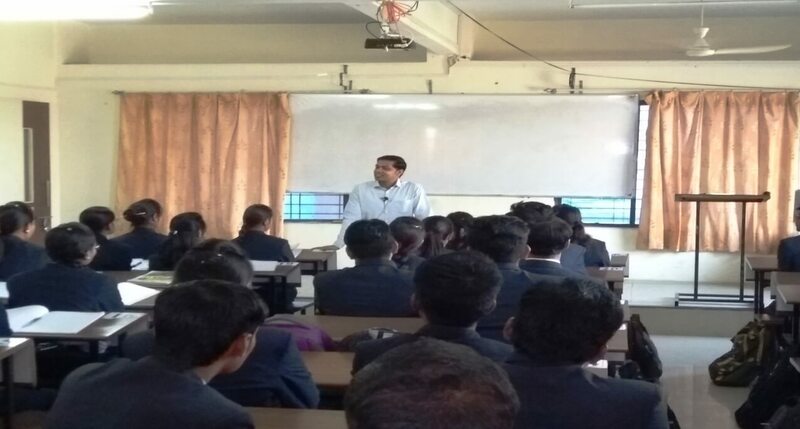 Students interacted with Business Tycoon of India Mr. Ashok Katariya, Founder Chairman of Ashoka Group. a. 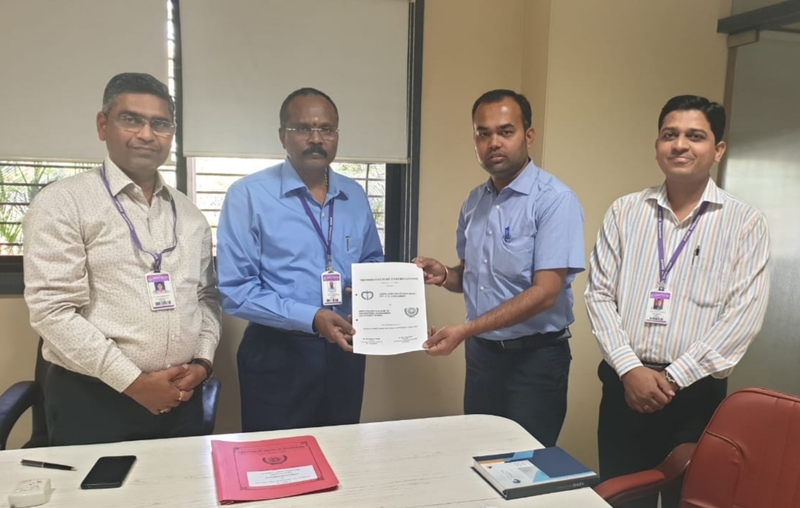 Our college provided consultancy service of Rs.25000/- to Leena Agro Industries Sangamner for Market survey of Sangamner city during the month of February and March, 2019.
b. Our college provided consultancy service of Rs. 25830/- to VIBHA Generic Medicines for pre-launch survey on topic "Survey for medicines used for chronic/ acute diseases at Ghulewadi & adjoining area and its data base generation" during the month of March, 2017. approx. 3050 households are surveyed. c. Our college provided consultancy service of Rs. 19000/- to S.L HASE & Co, Sangamner “GST Awareness and Database Collection in A Given Format at Specified Areas” during the month of July and Aug, 2017. approx. 355 Retailers, Dealers, Businessman are surveyed. a. 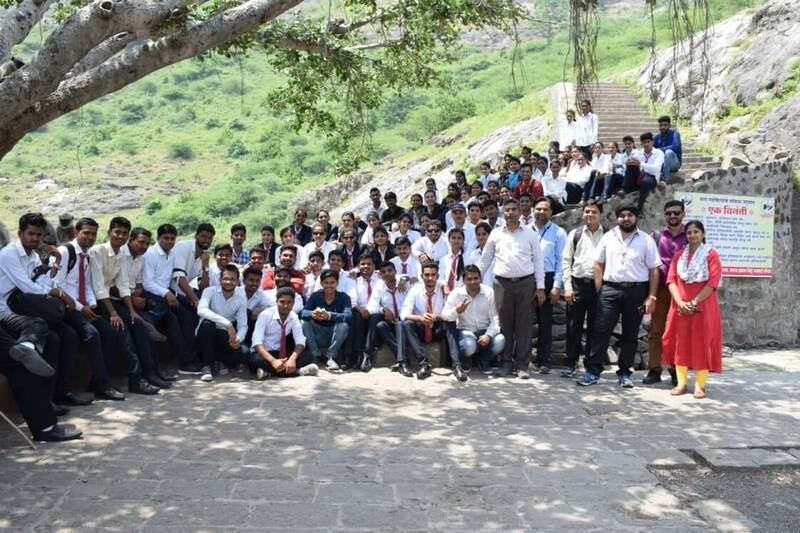 Students visited SHIVNERI FORT conducted “Clean Surrounding Drive”, collected plastic bottles, poly bags and other trash thrown by tourists, conducted leadership and team building activities. b. Visited SHAHGARH and conducted a trekking activity with Clean Surrounding Drive. 3. 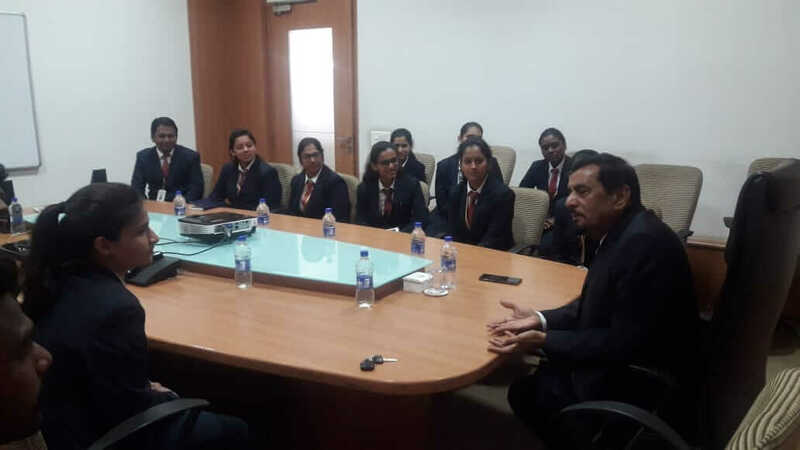 01/02/2019 Industrial Visit at Sugar Factory, Sangamner MBA I & II Students get idea about Working Environment of an Industry. 4. 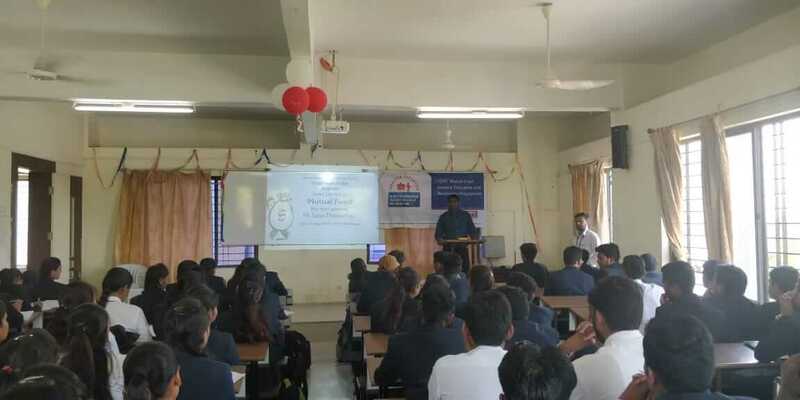 19/9/2018 Food corporation of India ,Manmad MBA I & II Students get idea about Working Environment of Supply Chain of food grains by government. Students get idea about Working Environment of Process Industry. Students get idea about Working Environment of Software / hardware Industry. 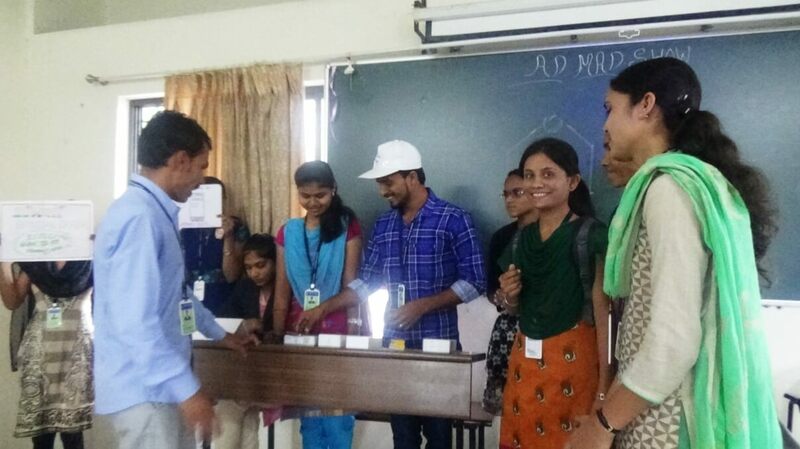 Students get idea about Working Environment of Supply Chain of food grains by government. 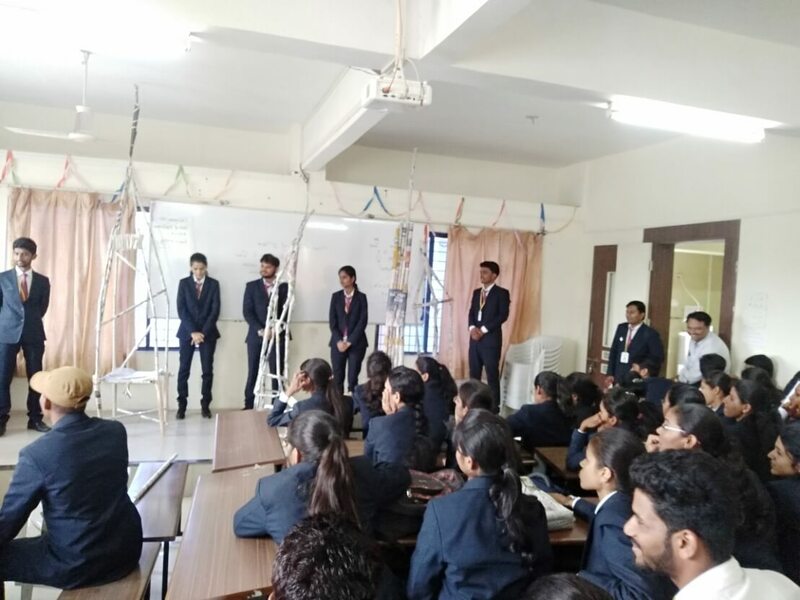 Students get idea about Working Environment of an Industry. 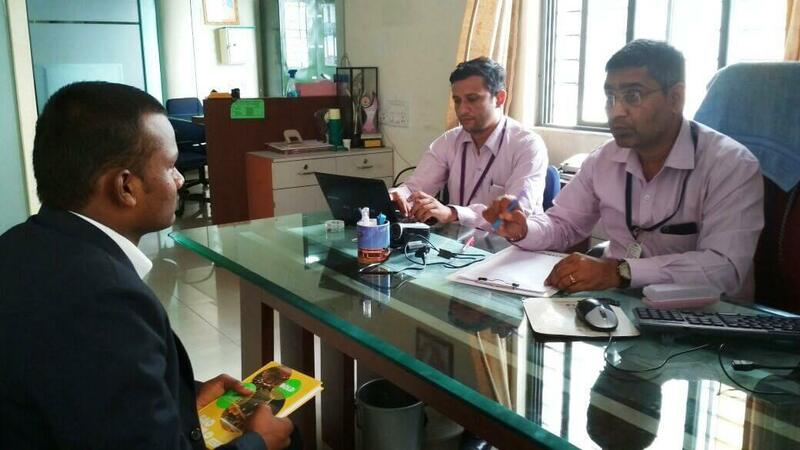 Mr. Prashil Pawar, COO, Lazyroofs Technology Pvt Ltd.
Prof. Anthony Thomas The English Language Academy. Dr. Rajesh Arora President and CEO of TQMS Global Mumbai. Tricks to solve problems logical reasoning. Mrs. Rachana Malpani, Soft Skill Trainer, Sangamner. Personality development and Soft skill Development. 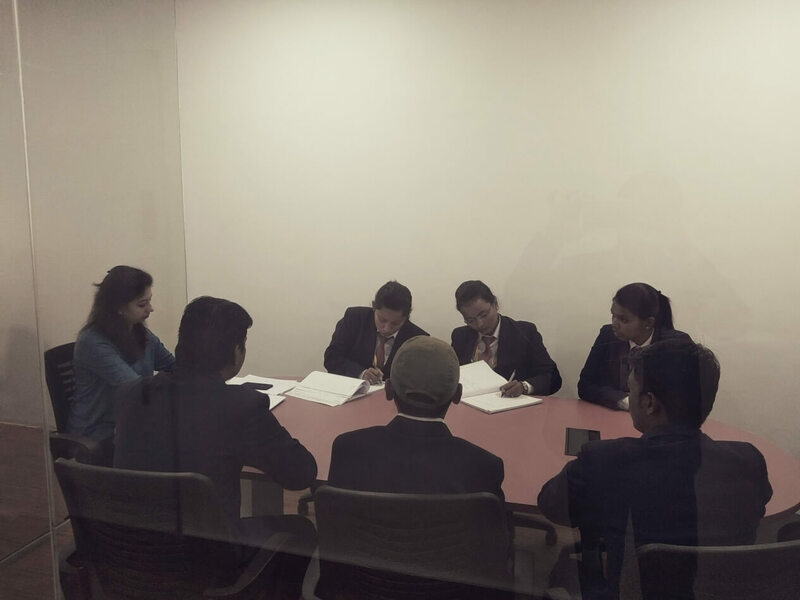 Students understood the requirement of Corporate, what they search in prospective employees and the way to achieve that so as to get good employment. Targeted population imparted the knowledge about use and implementation of management tactics and processes for decision making. Understood the aspects for filling up the proposal. 16. 12th – 13th Dec.2016 Faculty Development Program on “A Novel Approach to become the Best Teacher” Amrutvahini College of Engineering, Sangamner. Dr. N. R. Telrandhe Various aspects of good teacher and innovative pedagogy. 17. 12th – 13th Dec.2016 Faculty Development Program on “A Novel Approach to become the Best Teacher” Amrutvahini College of Engineering, Sangamner. 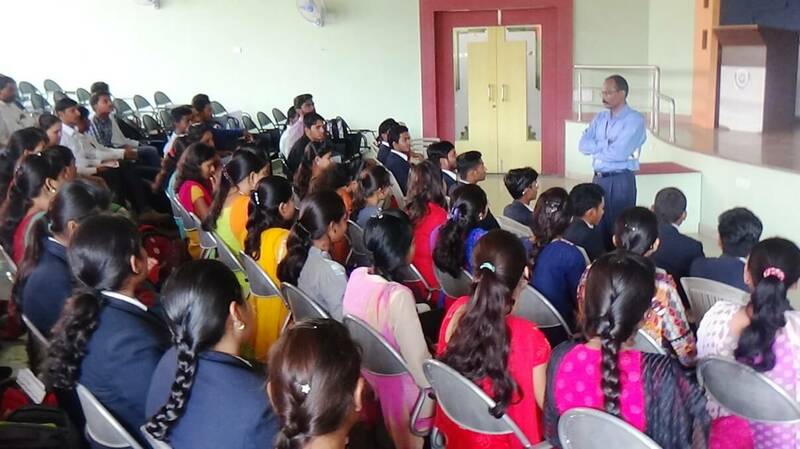 Mr. S.D.Kharde Various aspects of good teacher and innovative pedagogy. 18. 12th – 13th Dec.2016 Faculty Development Program on “A Novel Approach to become the Best Teacher” Amrutvahini College of Engineering, Sangamner. Ms. N. P. Shah Various aspects of good teacher and innovative pedagogy. 19. 12th – 13th Dec.2016 Faculty Development Program on “A Novel Approach to become the Best Teacher” Amrutvahini College of Engineering, Sangamner. 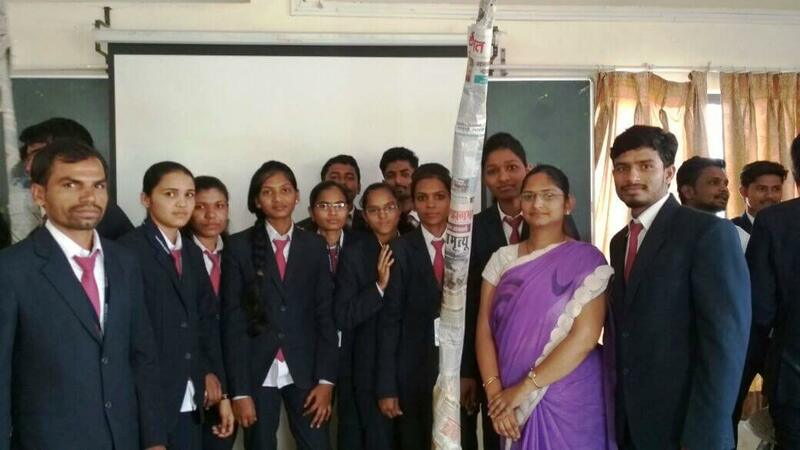 Mr. S. S. Gunjal Various aspects of good teacher and innovative pedagogy. 20. 12th – 13th Dec.2016 Faculty Development Program on “A Novel Approach to become the Best Teacher” Amrutvahini College of Engineering, Sangamner. 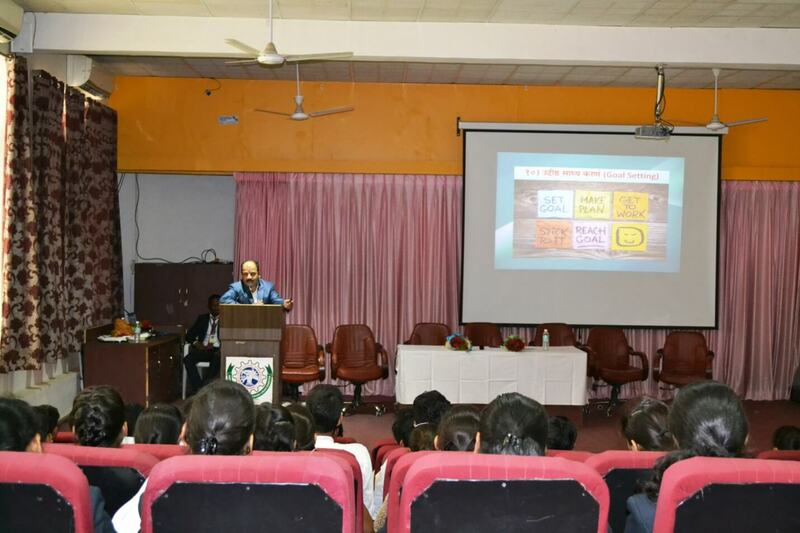 Mr. M. H. Wagh Various aspects of good teacher and innovative pedagogy. 35. 17th – 19th May 2016 Management Development Program Bahai’s Academy Panchgani. Mr. V. V. Satav Aspects of management and softskills required. Amt. received till Date in Rs. 1. To experience success in Management and Business administration and Other related diverse fields to acquire professional skills. 2. To initiate students to contribute to their professions and to surpass them in Professional ethics and leadership qualities. 3. To inculcate students with professional attitude, effective communication Skills and capability to succeed in multi-disciplinary and diverse fields. 4. To motivate students to continue professional development, including continual or advanced educational and career growth to create enthusiasm for life-long learning. 1. To equip with requisite knowledge, skill and right attitude necessary to provide effective leadership in a global environment. 2. To develop competent management professionals with strong ethical values, capable of assuming a pivotal role in various sectors of the Indian economy and society, aligned with the national priorities. 3. To develop proactive thinking so as to perform effectively in the dynamic socio-economic and business ecosystem. 1. Knowledge Up gradation :Apply and upgrade knowledge of Management fundamentals and specialization to the solution of management issues. 2. Problem Definition and Analysis: Identify, formulate, Evaluate, Review usage of research literature, and analyze complex management issues/problems reaching substantiated conclusions using principles of management, and specialization. 3. 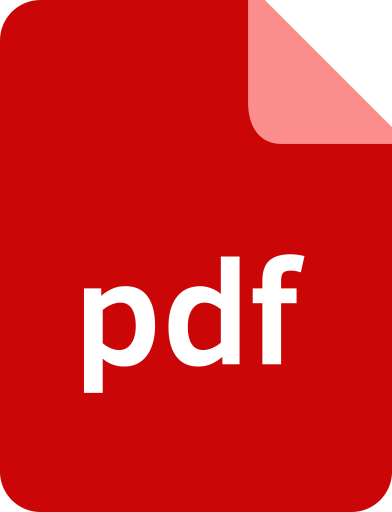 Development of solutions:Development of solutions for management issues/problems to design system, Procedures or processes, methods, models etc. that meet the specified needs with appropriate consideration for the public health and safety, and the cultural, societal, and environmental considerations. 4. Investigations and Research Study: Use research oriented knowledge and methods including design of experiments, analysis and interpretation of data, and evaluation and analysis of the information to provide valid conclusions. 5. Modern Tools & Technology: Create, select, and apply appropriate techniques, resources, and modern managerial tools including forecasting and implementation to management issues/problems, activities with an understanding of the limitations. 6. Management Professionals and Society: Application of reasoning informed by the contextual knowledge get assesses societal, health, safety, legal and cultural issues and the consequent responsibilities relevant to the professional managerial practice. 7. Sustainability with Environment: Understand and the impact of the professional and managerial solutions insocietal and environmental contexts, and demonstrate the knowledge and need for sustainable development. 8. Ethics: Apply ethical principles and commitment to professional ethics and responsibilities and norms of the management practices. 10. Communication: Communicate effectively on management issues/problems, activities with the community and with society at large, such as, being able to comprehend and write effective reports and design documentation, make effective presentations and implementation. 11. Project Management:Demonstrate knowledge and understanding of the management principles and apply these to one’s own work, as a member and leader in a team, to manage projects and in multi disciplinary environments.